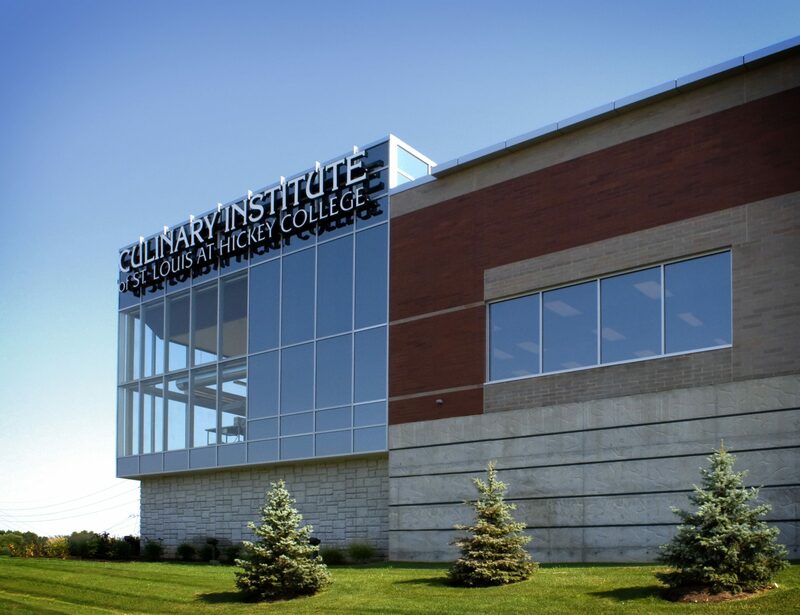 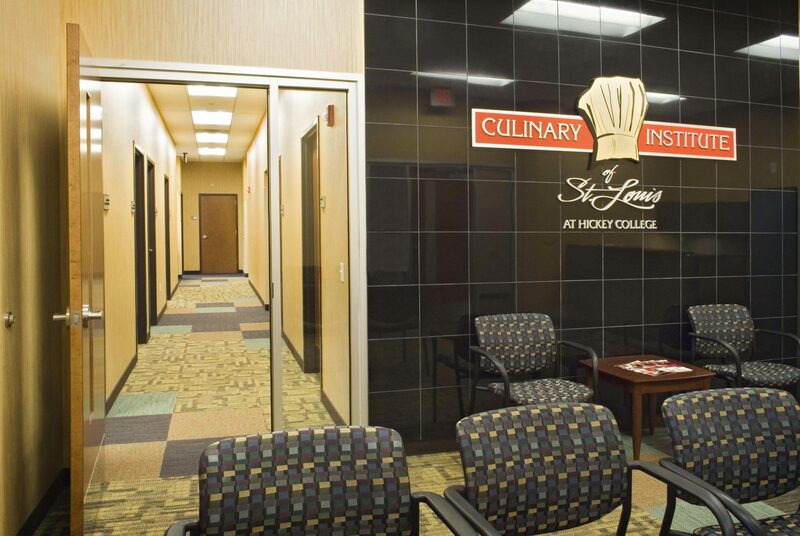 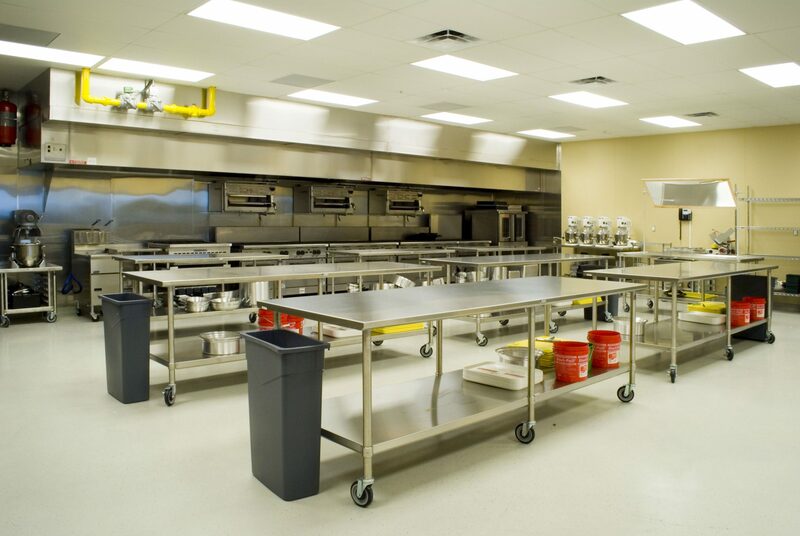 The Culinary Institute of St. Louis at Hickey College is a new 25,500 square foot satellite facility dedicated to education in the culinary arts. 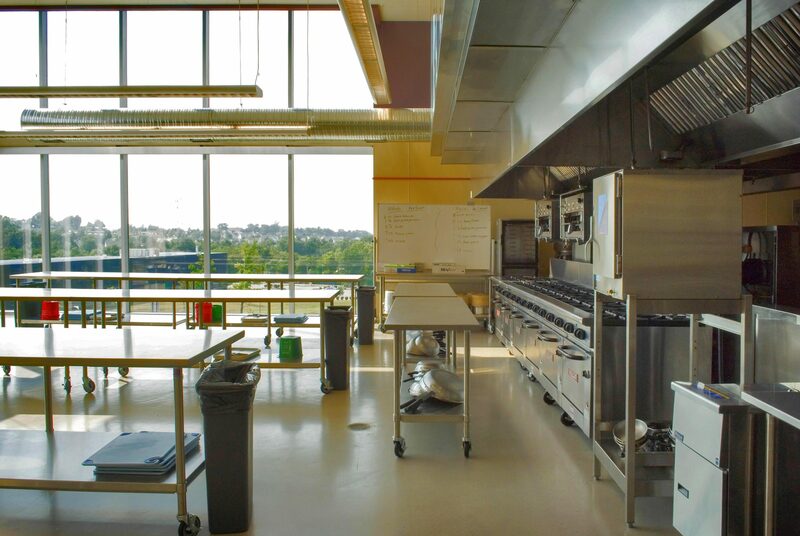 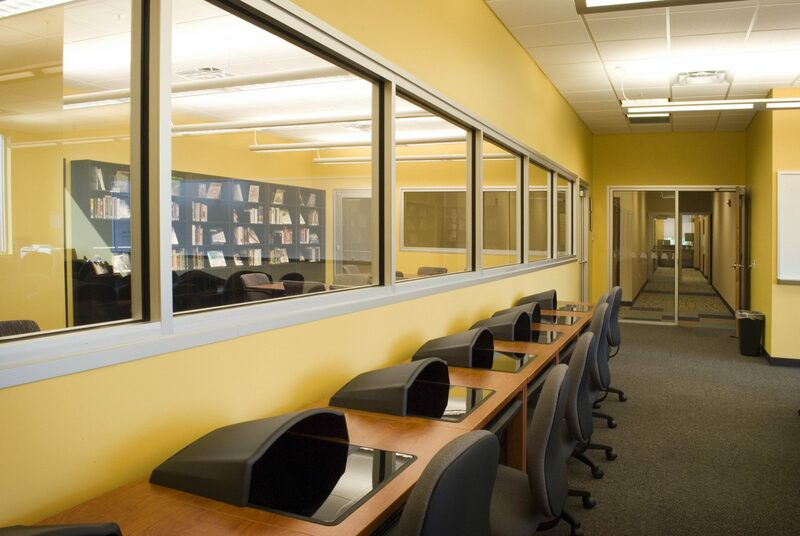 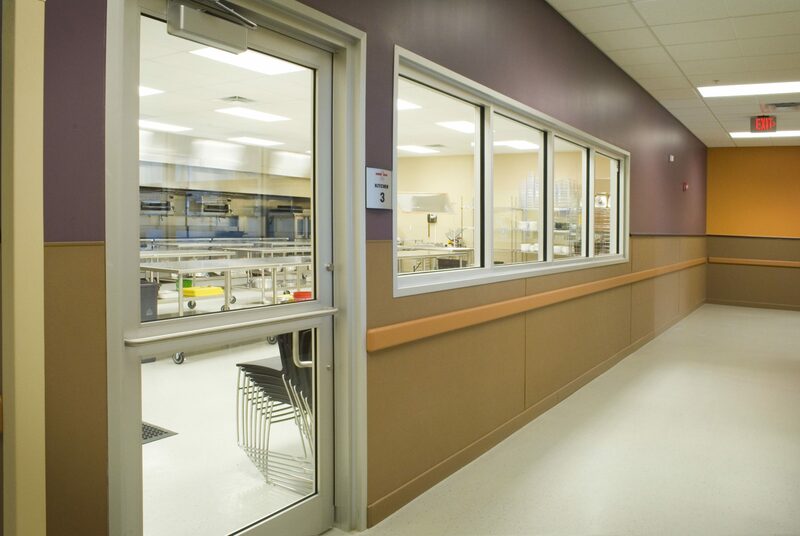 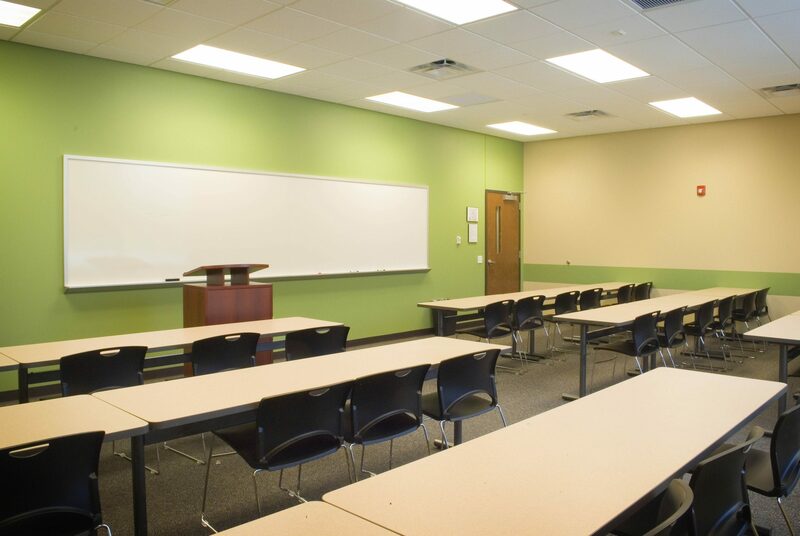 TR,i led the Design Team for this fully engineered project, which includes administration offices, classrooms, and kitchens for both teaching and cooking demonstrations. 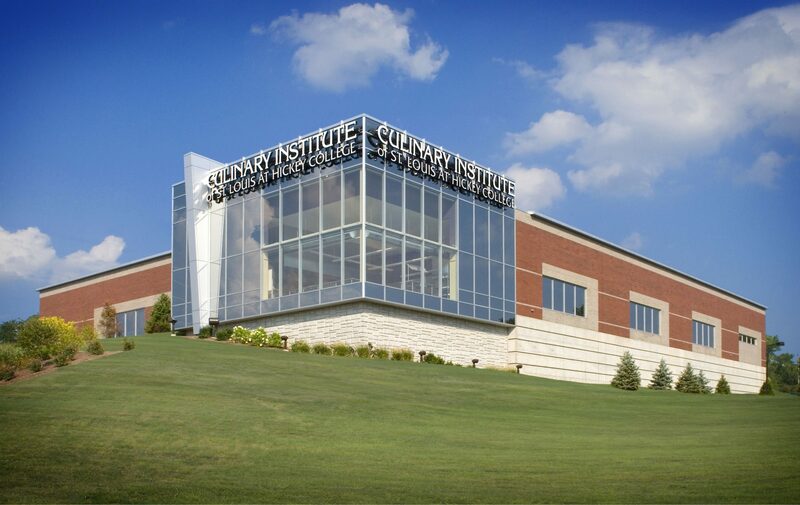 The site presented both challenges and opportunity. 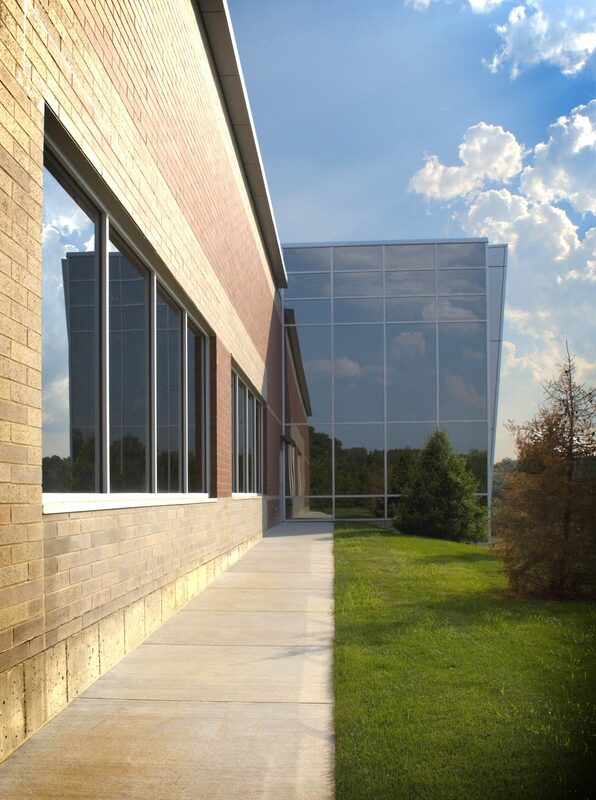 The building was placed on the high point of the site to maximize visibility to the public, while minimizing site improvement costs. 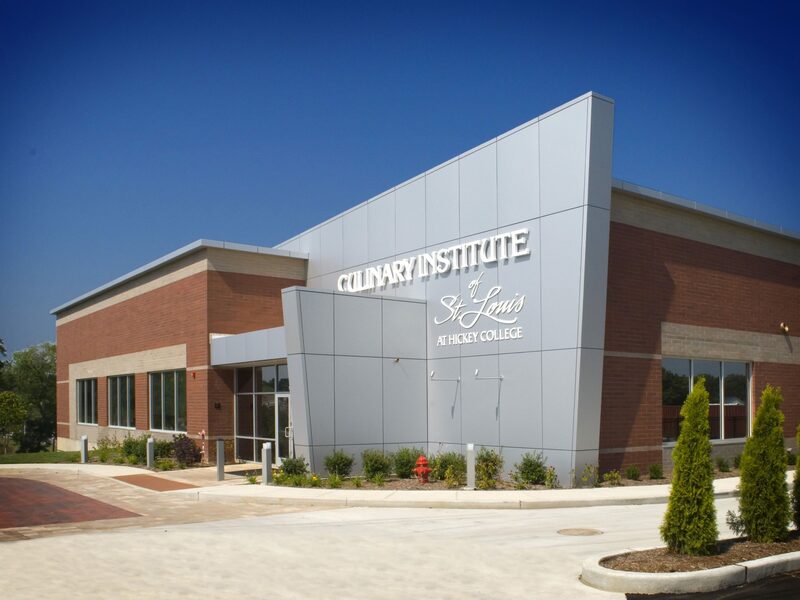 The cooking school expresses its function through placement of the demonstration kitchen in a “glass cube” on the building’s prominent corner, giving The Culinary Institute of St. Louis a landmark presence in the community.